Extraordinary mechanical properties and ultralow mass of 2D materials make them attractive candidates for Nanoelectromechanical Systems (NEMS). Dynamics of ultrathin NEMS strongly depends on strain in the membrane. Control over strain can be utilized to enhance the performance of such 2D NEMS devices (Wang and Feng in Appl Phys Lett 104:103109, 2014 ). Here we report two distinct strategies for fabrication of 2D NEMS on flexible substrate. The process flow is simple and does not deviate drastically from conventional lithographic processes employed for NEMS fabrication. NEMS on flexible substrate can be subjected to desired strain values by bending the substrate. This work would not have been possible without excellent facilities available at NNFC and MNCF in CeNSE. 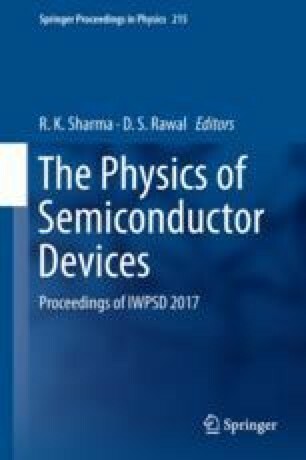 Swapnil More wants to thank all lab member of Micro and Nano Sensors Lab (CeNSE), especially Chandan Samanta, for providing valuable insights during the optimization of reported fabrication methods.